An all in one Gift Card for all needs. Purchase gas, snacks, car washes and so much more at over 1,500 retail Petro-Canada locations! Petro-Canada Gift Card can be used in conjunction with any other form of payment accepted at Petro-Canada including cash and credit or debit cards. So you enjoy the full value of the card. Petro-Canada gift card cannot be used to purchase other gift cards. *PETRO-CANADA Gift Card, Logos, Slogans And Related Marks Are The Property Of Suncor Energy Inc. All Rights Reserved. This Gift Card can be used in conjunction with any other form of payment accepted at Petro-Canada including cash and credit or debit cards. Simply offer Petro-Canada Gift Card at cash counter to pay for your shoppings. Present this card as payment at any participating Petro-Canada retail store. Petro-PointsTM awarded upon usage, not card purchase. Please protect your card as you would cash. Lost, stolen, or cards used without authorization cannot be replaces or replenished. Card cannot be redeemed for cash. This card cannot be used to purchase other gift cards. Use of this card constitutes acceptance of the terms and conditions of this card and the card carrier. 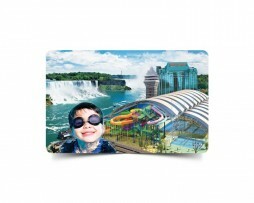 Card is the property of and issued by Suncor Energy/Products Partnership.